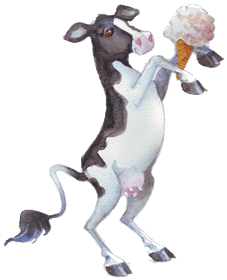 Our newest product at the farm is soft-serve, Greek style frozen yogurt, which is low fat (1%) and high protein. Currently, it's available at Chil Frozen Yogurt Bar in London, and Qoola at York University. It has five live bacterial cultures and is gluten free and nut free. We use minimal ingredients so that the taste of the yogurt is at its best! Additional Flavours – Lemon, Vanilla, Raspberry, Cake Batter and many more!